Jed Weiner advises emerging and seasoned companies and investors in corporate finance transactions, mergers and acquisitions, joint ventures, board matters, corporate governance, executive compensation, management equity, restructuring, corporate compliance, and commercial transactions. Mr. Weiner has worked in private practice at top tier law firms and in senior leadership roles in-house. 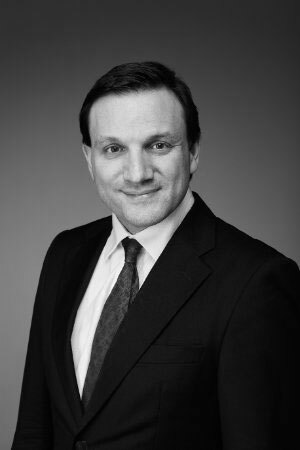 Mr. Weiner worked as a corporate attorney at Cravath, Swaine & Moore LLP and Simpson Thacher & Bartlett LLP in New York, London and Palo Alto. He served as general counsel for an emerging company with $300 million in revenues, and lead counsel of a global business division for an NYSE publicly-traded U.S. multinational. Mr. Weiner has represented clients across a wide range of industries, including manufacturing, automotive, waste management, software, life sciences, energy, retail, banking, and telecommunications. Mr. Weiner has prepared SEC filings for U.S. public companies and led securities transactions in-house and in private practice. Mr. Weiner serves as outside general counsel for startups and private equity portfolio companies. For example, he currently advises BlackTies, a dynamic and fast-growing artificial intelligence software company. Mr. Weiner has significant experience with international transactions, operations, and compliance. He oversaw complex legal and business issues in Europe, Middle East and Africa for a publicly-traded multinational and led cross-border securities and M&A transactions during his time at Simpson Thacher. Mr. Weiner served in leadership roles as an intelligence officer in the U.S. Navy Reserve, deactivating as a Lieutenant Commander in 2012. Since 2007, Mr. Weiner has served has a member of the Financial Advisory Committee of St. Antony’s College, University of Oxford. Spencer Spirit Holdings Inc., Spencer Gifts LLC and Spencer Spirit Holdings, Inc. in connection with 144A offering of $175 million in senior secured notes. The Blackstone Group in its £267M (USD 520M) acquisition of Tragus Limited from Legal & General Ventures. Laboratory Corporation of America Holdings in its bid for U.S. division of a multinational company. J.P. Morgan Securities in connection with the public offering of First Niagara Financial Group, Inc. of $300 million in senior notes. ITC Holdings Corp. in connection with 144A offering of $200 million in senior notes and ITC Midwest LLC in connection with a private placement of $75 million in first mortgage bonds. J.P. Morgan Securities in connection with 144A offering of €615 million in senior secured floating rate notes, $175 million in senior secured floating rate notes, and €250 million in senior subordinated notes by Impress Holdings B.V.
Nordic Telephone Holding ApS, a parent company of TDC A/S, in connection with 144A offering of €800 million in senior notes, $600 million in senior notes and €750 million in floating rate notes. This offering set the record for the second largest high yield offering in European history. Kohlberg Kravis Roberts in its $1.4 billion acquisition of Cleanaway and Brambles Industrial Services businesses of Brambles Australia Limited in Australia. This acquisition set the record for the largest management buyout in Australian history. International Business Machines in its purchase of Liberty Insurance Services Corp. Member of global business division leadership team as well as Europe, Middle East and Africa leadership team at Brady Corporation (NYSE). Led 130 commercial contract teams, with up to ten team members, including 20 global OEM contract teams. Legal support for direct, indirect, commodity, warehousing, and freight spend. Major role in drafting and implementing robust and cost-efficient global distributor anticorruption policy (FCPA/UK Bribery Act) at Brady Corporation (NYSE). Member of ten-person steering committee managing consolidation in Belgium of manufacturing and other operations based in Italy, France and Germany, including major role in successfully negotiating with works councils and local officials for facility closures, at Brady Corporation (NYSE). Member of cross-functional project teams establishing new operations in emerging markets. Implementation of US-EU data privacy safe harbor compliance, including data privacy audits, IT-department designed protocols, and training. Trained company employees on antitrust and anticorruption compliance, employee performance improvement and disciplinary procedures, and Code of Ethics.